Every busy clinician knows that accuracy, comfort, portability, and ease of use are vital in blood pressure management equipment. 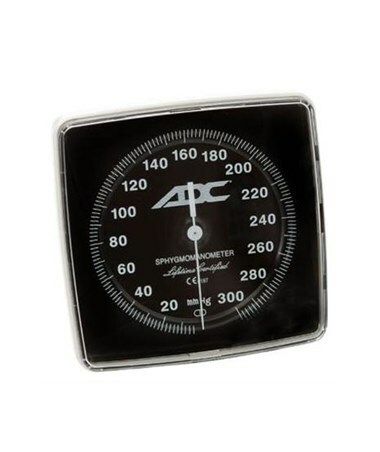 ADC's Diagnostix™ 805 clock face aneroid gauge meets all the criteria of top-notch blood pressure equipment; it is large and highly visible, easy to read and use. It is one of the finest on the market and includes a lifetime worry-free calibration warranty. The Diagnostix™ clock face aneroid features a large, 6" luminescent dial for high visibility in virtually every light condition. Its 300 mmHg no-pin stop movement withstands the heaviest use, making it the perfect manometer for regular use in any practice or facility. Its contemporary Euro-style ivory casing compliments any decor, while its two mounting options (sold separately) make it usable in any setting. 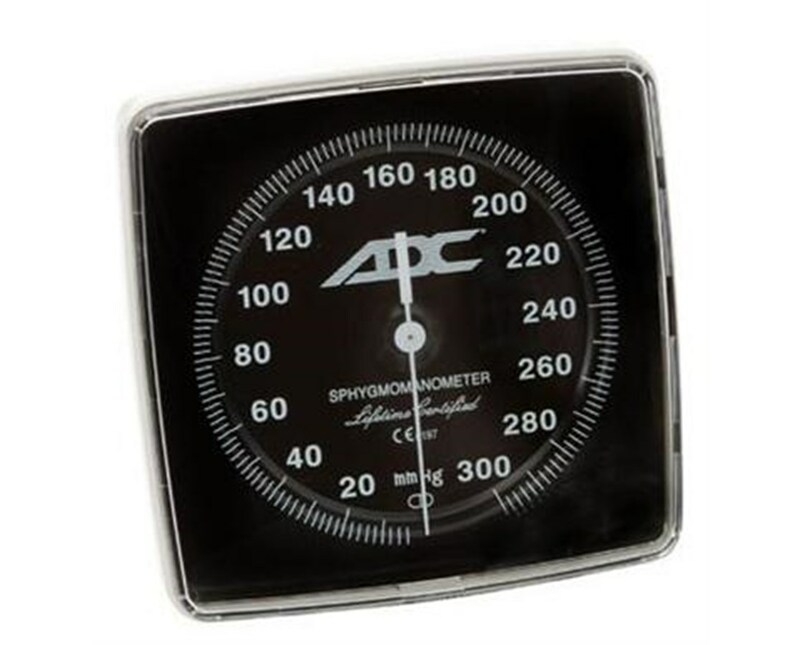 This manometer is included in the Diagnostix™ 750 Series wall and mobile aneroids (sold separately).